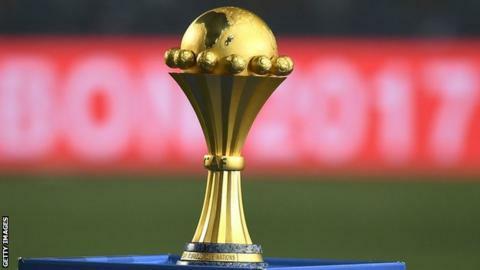 Guinea-Bissau and Namibia qualified for the 2019 Africa Cup of Nations from Group K on Saturday, with Mozambique narrowly missing out after the final round of qualifying matches. Guinea-Bissau made it back-to-back Nations Cup appearances after a dramatic 2-2 draw at home to Mozambique. Namibia secured their place at Egypt 2019 despite a 4-1 defeat away to the 2012 champions Zambia who had already been eliminated. A dramatic stoppage-time equaliser from Frederic Mendy secured Guinea-Bissau top place in Group K after a 2-2 draw at home to Mozambique. Mozambique were headed to the finals along with Guinea-Bassau as they came from behind to lead 2-1 thanks to an 89th-minute goal from substitute Nelson. Pharaohs coach Javier Aguirre fielded an experimental Egypt side in Niamey with many top stars missing, including Liverpool's Mohamed Salah. Tunisia - who beat eSwatini 4-0 on Friday night - finished top of Group J on 15 points with Egypt second, two points adrift. Elsewhere on Saturday, Jeffrey Schlupp scored eight minutes from time to give Ghana a 1-0 home win over Kenya in Group F. Both teams had secured qualification last year. Senegal and Mali completed their campaigns unbeaten with home wins on Saturday. Mbaye Niang scored twice as Senegal beat Madagascar 2-0 in Group A and Mali overcame South Sudan 3-0 in Group C.
Manchester United defender Eric Bailly was among the scorers as Ivory Coast beat visiting Rwanda 3-0 in Group H.
Earlier, Burundi secured their first ever Nations Cup qualification with a 1-1 draw against Gabon who are eliminated.